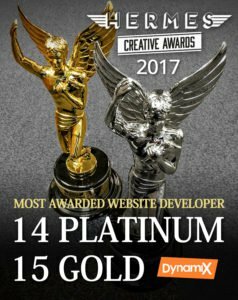 We’re thrilled to share that DynamiX has been named the Most Awarded Website Developer in the 2017 Hermes Creative Awards, taking home 29 trophies for our amazing clients. 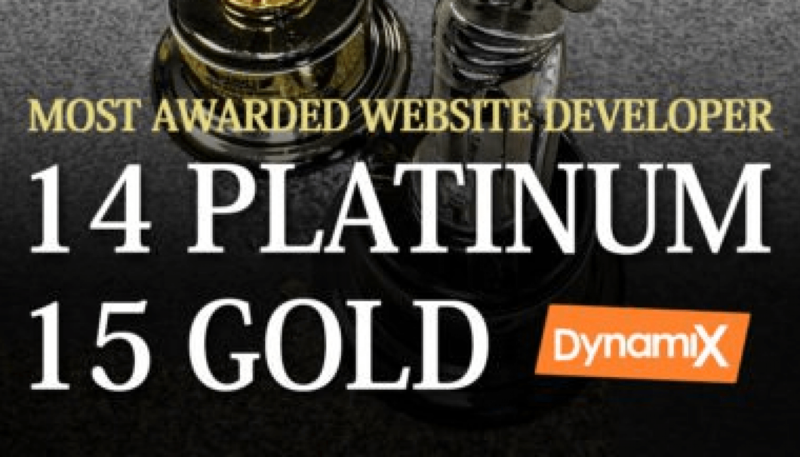 This marks our third year in a row as the Most Awarded website development company in the Hermes Awards. Other 2017 winners include AARP, Aflac, AIG, BBB, Bloomberg, Cuisinart, Fidelity Investments, Gulfstream Aerospace, Hilton, NFL Players Association, Northside Hospital, Pepsi, The Weather Channel, UPS, Verizon and many more. Judges are industry professionals who look for companies and individuals whose talent exceeds a high standard of excellence and whose work serves as a benchmark for the industry. There were about 6,000 entries from throughout the United States, Canada and 35 other countries in the Hermes Creative Awards 2017 competition. Thanks for allowing us to do what we love!